The only constant in the world is change, and that is especially true in the field of technology. So what changes can we expect in 2018? 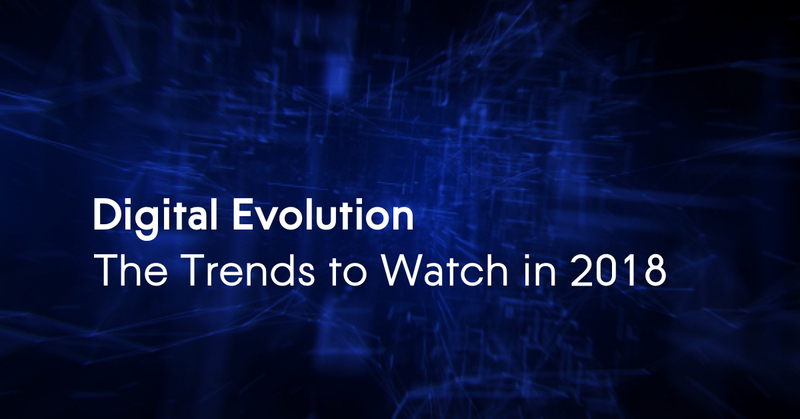 The current wave of innovative technologies will continue to gain momentum and further disrupt traditional industries throughout 2018. Personal data will become even more valuable and new regulations will try to protect that information. Ransomware attacks will continue to become even more sophisticated, forcing data protection vendors to dig deep and invest accordingly to create innovative anti-ransomware solutions that are easy and affordable for anybody with a computer. The General Data Protection Regulation (GDPR), which is due to go into effect in Europe on May 25, 2018, is going to send shockwaves around the world. Designed to protect the privacy of EU citizens, it will affect all companies doing business in Europe, regardless of where their headquarters are located. The GDPR will likely result in some confusion, and will certainly create additional burdens for international companies that already have to comply with domestic data privacy laws. These companies will be looking for a balance to ensure both sets of regulations are satisfied. The push for citizen privacy is not isolated in Europe. China, Turkey, Russia, and several other countries have already passed similar laws, while additional countries are expected to follow suit, especially in fast-growing markets such as Asia Pacific. Failure to comply with GDRP could lead to fines of up to 20 million euros (23.5 million dollars) or 4 percent of the company’s annual revenue, whichever is greater. If the size of fines is any indication of what’s to come, the watchdogs will be paying close attention to large corporations. We expect to see at least one corporation fined for a GDPR violation before the end of 2018. We also predict that because the GDPR includes compulsory reporting of data breaches, we’ll find out that the problem of ransomware is actually much worse than previously thought. That’s because mandatory reporting will expose thousands (or even millions) of cyber-attacks that, until now, have gone unreported because businesses were too ashamed to admit the loss of customers’ data. Ransomware is not new, but every new attack brings a fresh reminder of how unprepared businesses are to face such attacks. A lot has been said in the last 12 months about the importance of system patches and security updates, but we are certain that many companies remain unprepared to face attacks in 2018. Next year we expect new types of ransomware to mount even larger attacks than this year’s historic WannaCry and NotPetya outbreaks. It’s very likely that 2018 will also see a strain of ransomware used as a cyber weapon, targeting specific organizations with the sole purpose of destroying their data. IoT devices will also become new targets for ransomware. Remember the Y2K bug and the fear that we wouldn’t be able to use our VCRs and washing machines in the year 2000? The next few years could see those fears become reality. Earlier this year, for example, hackers used ransomware to disable the door locks on guest rooms in a hotel in Austria. As IoT devices are increasingly targeted, such instances are only going to happen more and more. In 2018, ransomware criminals will become a lot more creative. They’ll reuse and extend the old ransomware code, as they did this year, and develop new methods to highjack data. Attacks against backup files, cloud workloads, social network accounts, and even IoT devices will increase. In addition, new types of ransomware will quietly infect user devices and avoid detection by lying dormant for a period of time. Instead of hitting multiple files simultaneously, it will use slow encryption, scrambling small parts of important files, only to reveal itself at the most inconvenient time. Other strains will be smart enough to monitor system processes in order to understand how the data is protected, and use that information to strike only after the user’s backup is disabled. We also expect there to be targeted ransomware attacks against critical infrastructure such as power stations and airports. Ransomware will be converted into a digital weapon that can only be stopped with the help of artificial intelligence-driven solutions. IoT devices have become an integral part of our daily lives. Self-driving cars, smart appliances, smart home devices, are all designed to make our lives simpler, and more efficient. Undoubtedly the growth of IoT devices will continue well beyond 2018. During the coming year, the IoT industry will focus on developing specialized platforms and commercializing IoT data. IoT platforms will take advantage of global cloud providers such as AWS or Microsoft for data storage, extending their global reach. Enterprises will use IoT to roll out voice-activated services and marketers will use the collected data to get closer to their customers. In the midst of this, data protection and security will remain a major concern. The DDoS attack launched from webcams last year showed that the majority of IoT devices are largely unprotected and exposed to hacking. In 2018 there will also be a noticeable shift toward edge computing, i.e. pushing the majority of IoT processing power back to the device level. As IoT devices look for greater speed and autonomy, sending data to and from the cloud in real time will become unfeasible. A self-driving car or drone, for example, will need to make an instant decision without relying on its ability to communicate with the cloud. As the cloud becomes auxiliary to the new distributed IoT architecture, the value of data residing at the edge will also continue to increase. That will create a new need for protecting edge devices, since the data on an edge device will need to be backed up and protected from malicious attacks. Edge computing will also accelerate the adoption of blockchain technologies as the default method of ensuring the security and authenticity of data communication. Multiple companies will be competing for a spot in this technology space. The explosive growth of Bitcoin this year promoted the reliability and benefits of the underlying technology used by this cyber currency, the blockchain. In 2017, blockchain became the second most popular search word on Gartner’s website, and distributed ledger technology will continue to gain significance across a number of industries. Deloitte predicts that blockchain projects are going to exceed cloud computing and IoT in venture capital investment. Countries with official blockchain strategies, like Malta, will end up leading regional markets and the global industry in general. Blockchain will help to address several modern-day security concerns, including issues with contracts, identity, and fraud management. Blockchain-based lists will help financial organizations and online retailers easily vet their customers and combat fraudulent activities. Blockchain terminology will continue to evolve as well. Industry players will focus on providing functional or architectural descriptions instead of relying on the term “blockchain.” The Australian Securities Exchange, for example, avoided the word when announcing its deployment of a “distributed ledger technology” for clearing and settlement earlier this year, focusing on its functionality, rather than looking for popularity. While the hype around the word “blockchain” will subside in the coming year, we’ll see major blockchain-inspired applications in healthcare, financial, insurance, and e-commerce sectors. Blockchain will become the default technology wherever there is a need to ensure the integrity of transactions or data. Artificial Intelligence (AI) has become a necessity for every company dealing with large amounts of data. Whether it’s recognizing your voice on a smartphone or identifying a cyber-attack before it destroys your data, AI is now an integral part of the modern-day technological development. It provides the insight that gives companies a competitive advantage – and in 2018, insight will drive AI adoption even further. Companies will use AI to augment existing products, giving them a competitive advantage. That’s because they are sitting on tons of unstructured data collected from their devices and software. Since there was no easy to way to analyze this data, it couldn’t be used to generate insights for product improvement. It’s like collecting telemetry data from Formula 1 cars that would enable you to make improvements to the car’s design and performance, but not having any way to interpret that data. AI, machine learning (ML) and deep learning (DL) change that, making data analysis easy and accurate. In data protection, AI will be used to recognize ransomware patterns and block cyber-attacks. It will also be used to recognize the data that is stored in backups and offer semantic search, understanding synonyms and even generalizations. One example would be a search for “job applications”. It would retrieve all CVs, selection criteria documents, and cover letters, even if the phrase “job application” was not used within the document or in the file name. Next year will be filled with AI applications that will advance the functionality of the traditional software. In 2018 we’ll also see a new class of products with AI at its core. Together with IoT and blockchain, AI will bridge the gap between human intuition and computer calculation to become part of everyday decision making. With its power to interpret data and discover patterns, AI will help business leaders to make informed and contextualized decisions, reducing risk. It will also improve the customer experience by helping businesses to engage with customers to better understand their needs and behavior patterns. AI insight will be the key to the next wave of innovative solutions, reducing the gap between humans and machines.